My daughter recently lost $80 in her bedroom. It's just gone. One theory is that we accidentally donated it to Goodwill, since she had stored it in an old book and we'd been clearing out a lot of junk. But it got me thinking: What would be a better place to keep money she's not using? She's been bringing in some respectable allowance earnings with the chores she's taken on recently. Plus, she always receives some money for birthdays, and she doesn't spend much. Maybe an investment account? While the investing rules are a little different for minors compared to adults, it's not hard to get your child started investing. Even if they only make a little money, the experience may encourage them to start investing for retirement early in adulthood, which can set them up for life. Here's how to show your kid the basics of investing. Children can set up savings, checking, or brokerage accounts using the Uniform Transfers to Minors Act (UTMA) or the Uniform Gifts to Minors Act (UGMA). All they need is an adult (presumably you) to sign on as the account's custodian. This means you have to approve what your child does with the money until your kid is of age, which is 18 or 21, depending on what state you live in. Because the funds or investments in a UTMA legally belong to your child, once they're in this account, they can only be spent for your child's benefit. You can't deposit $100 in your child's UTMA account and later decide you want it back or transfer it to another child. 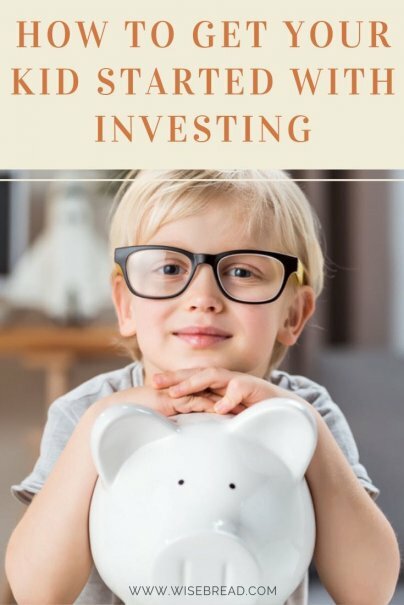 Aside from a traditional brokerage account, your child could also try a micro-investing account, since they're likely to be starting with a small amount of money. You can set up a custodial account through Stash or Stockpile — in fact, Stockpile even works with BusyKid, an app that helps families track kids' chores and pay their allowances digitally. If your child doesn't have any individual companies in mind, but would like to invest in the market as a whole, a mutual fund such as an S&P 500 index fund is a great way to go. Good ones have low expenses, meaning that your kid gets to keep more of his/her investment. Unfortunately, mutual funds do tend to require minimum investments. For instance, to buy shares in Charles Schwab's often-recommended S&P 500 index fund, you need to open a Schwab brokerage account with a $1,000 initial deposit. However, there is one way around that: You can also open a Schwab account with a $100 deposit — but you have to deposit an additional $100 each month until the account has a $1,000 balance. Another way to get started with a small initial investment is to use one of the micro-investing apps mentioned above, which split one share of stock or of an ETF and sells the investor a fraction of it. These apps can make getting started very simple for young kids by characterizing investments by category. In exchange for making things this simple for you, these services usually charge a monthly fee; Stash's is $1 per month. While your child could also opt to invest in Treasury bonds or certificates of deposit, at today's low interest rates, this probably wouldn't be a very exciting way for them to learn about investing. Does your child have to pay taxes on their investment gains? Do they have to file their own tax return? The answer to both questions is, "It depends." If your child's investment income is less than $1,050, don't worry about it; you don't need to report this to the Internal Revenue Service. If the child's investment income is less than $12,000, the parent can opt to report it on their own tax return, or file a separate return for the child. At more than $12,000, you have to file a tax return for your child. What rate will your kid pay? Unearned income up to $2,100 will get taxed at between 0 percent and 10 percent, depending on what kind of income it is. After that, your child's unearned income will be taxed at your rate, no matter if you file separately or together. So don't imagine that you can save a bundle on taxes by transferring all your investment accounts to your kids — the IRS caught on to that gambit years ago. It's important to note that when it's time to apply for college financial aid, assets in the child's name count against them more than assets in the parents' name. Unless you're sure your family won't qualify for financial aid — and outside of the 1 percent, that's not usually something you can be sure of in advance — encourage your child to choose shorter-term goals for their investment account. They could choose a goal of anything from buying a new Lego set, to a week of sleep-away camp, to their first car.